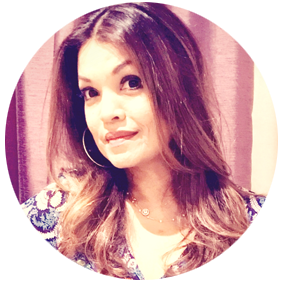 As a trainer, consultant and therapist, I conduct interactive group workshops, personal consultations and custom blending of oils along with application techniques to bring a more positive, nurtured and productive workplace or harmonious home. May is for Mother’s Day – I don’t think just one the day would be enough to honour and celebrate the special woman who brought us into the world. However, I think it is also a perfect time to remember and celebrate all those women who have been instrumental in nurturing us, who held our hands and empowered us, those friends who loved “mothering” us and those who have shown us unconditional love and support in times of need. That’s why I have chosen to run a very special workshop: Breathe In The Essence Of Life – Create Balance & Harmony. I am sure all Mothers would love to have more of this. It is also a perfect opportunity to celebrate the heroines in our life by simply spending time with them and use SCENT as a wonderful way to help remember and cherish them. 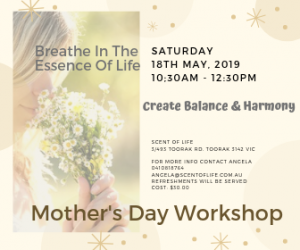 During this workshop, you will discover how you can breathe in the essence of life everyday to have more energy, fight fatigue, have clarity and focus, more ease … more BALANCE & HARMONY. There will be an opportunity for the MOTHER in you to make a connection with a blend or scent that your nose seem to lead you – this is the SCENT that you need for this particular season that will bring more balance into your life, where you can invite more harmony into your day to day living. 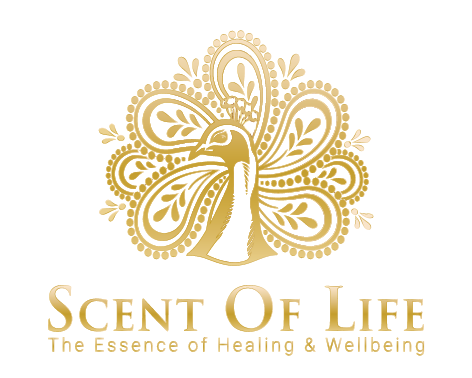 I will give you a brief introduction to essential oils, about frequency medicine – THE FRAGRANCE OF SOUND how sound and scent can be a powerful tool and easily incorporated for supporting your wellbeing . You will discover how you can introduce them into your daily life and there will be opportunities for you to create blends at the Scent Bar. There is also organic wine and food to enjoy throughout the session. So come and join us this at this workshop on the 18th of May to not only learn but sniff and play and enjoy some aromatic treats. 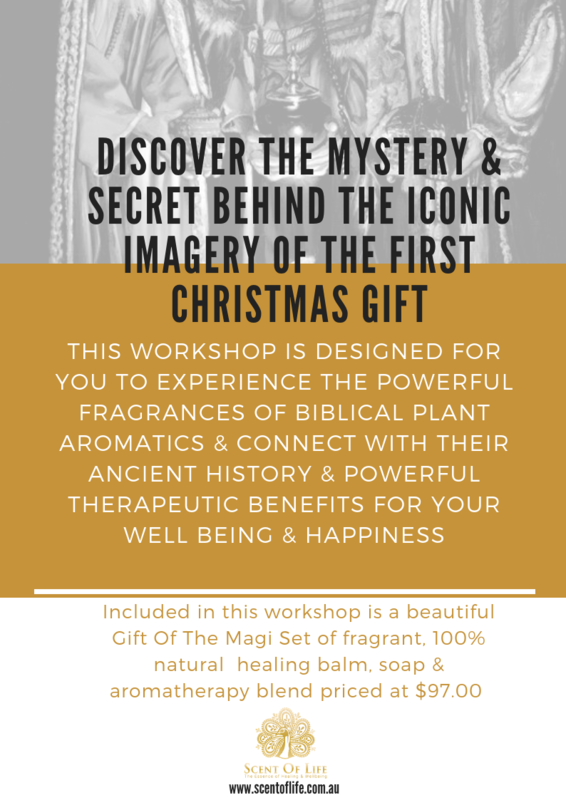 You not only get to learn and connect with this ancient oils but receive my very special edition “ Gifts Of The Wise Men” Gift Set made of a luxurious collection of handcrafted organic soap, a healing balm & a wellness roll -on blend made with pure, natural high grade healing oils. Want to stay informed about the latest news on Aromatherapy & Perfumery for wellbeing with well researched insights, product updates and workshop news delivered right to your inbox? Your privacy is essential. All information is kept strictly confidential.